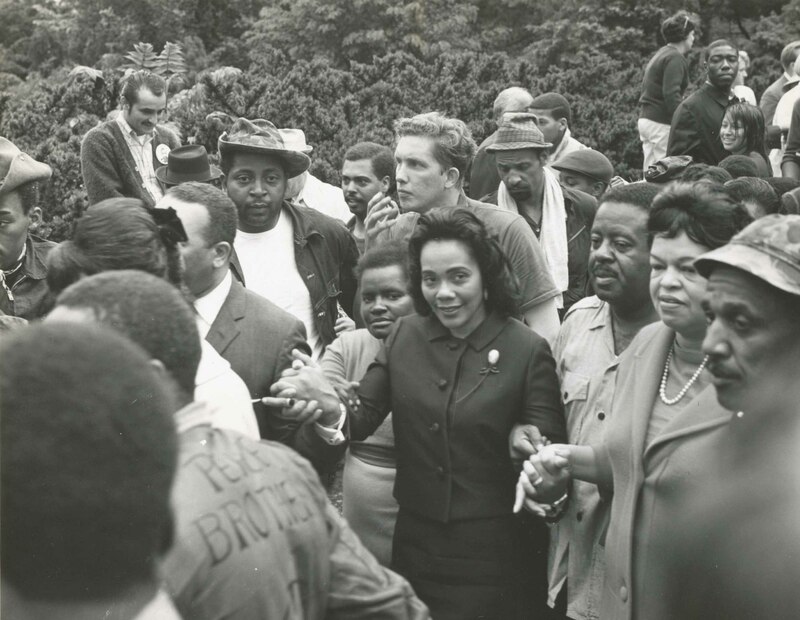 Coretta Scott King with campaign organizers, including SCLC leader Ralph Abernathy locking arms to her left. Photo taken from the Jack Rottier Collection. In December of 1967, when nearly 15 percent of all Americans and 40 percent of African Americans lived below the poverty line, Martin Luther King and the Southern Christian Leadership Conference (SCLC) began organizing a national campaign against poverty. 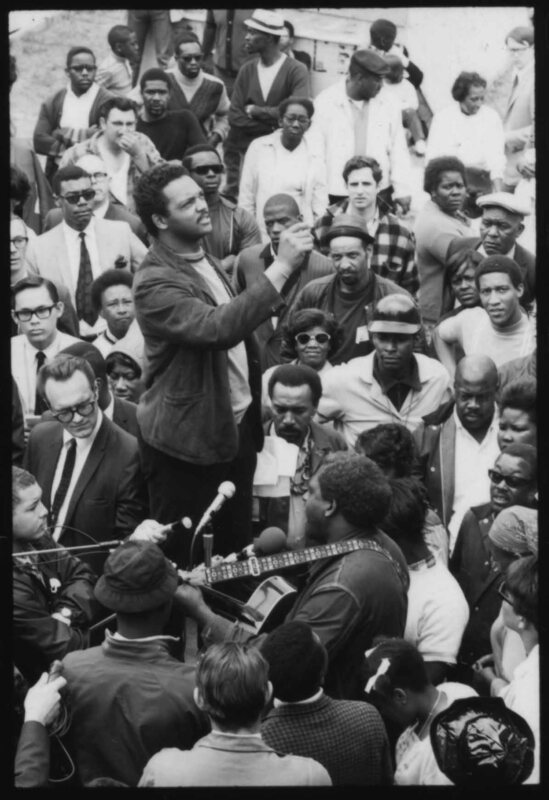 The Poor People’s Campaign was to inaugurate a new phase of civil rights extending the struggle for racial equality to the cause of economic justice in America’s slums. On April 4, 1968, while campaigning for black sanitary workers in Memphis, King was assassinated on the balcony of the Lorraine Motel. Just a few weeks later the SCLC and King’s grief-stricken widow, Coretta Scott, decided to push ahead with the campaign anyway. The next month, thousands of demonstrators gathered at the National Mall demanding federal action to alleviate poverty as SCLC leaders, joined by the National Welfare Rights Organization, lobbied Congress to introduce an “economic bill of rights” that would include $30 billion for the creation of employment programs and low-income housing and a guaranteed minimum annual income for all Americans. 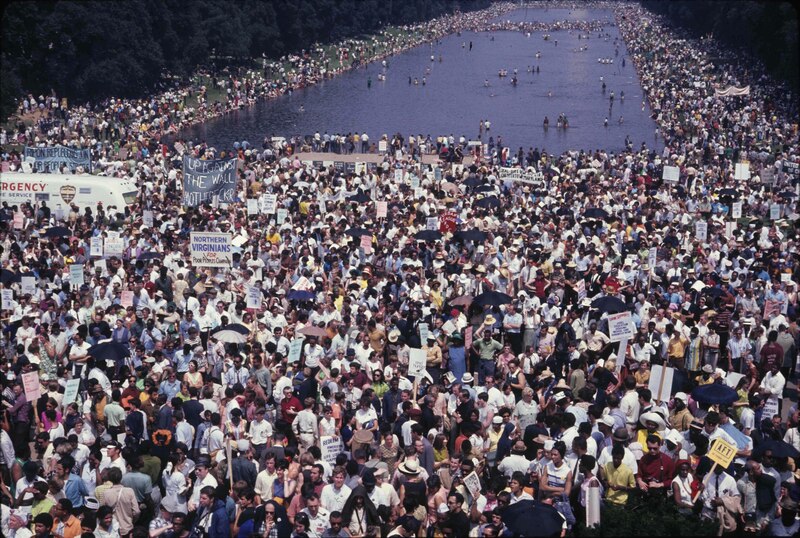 On May 12, 1968 the first wave of demonstrators poured into Washington, DC from across the East Coast and Midwest. 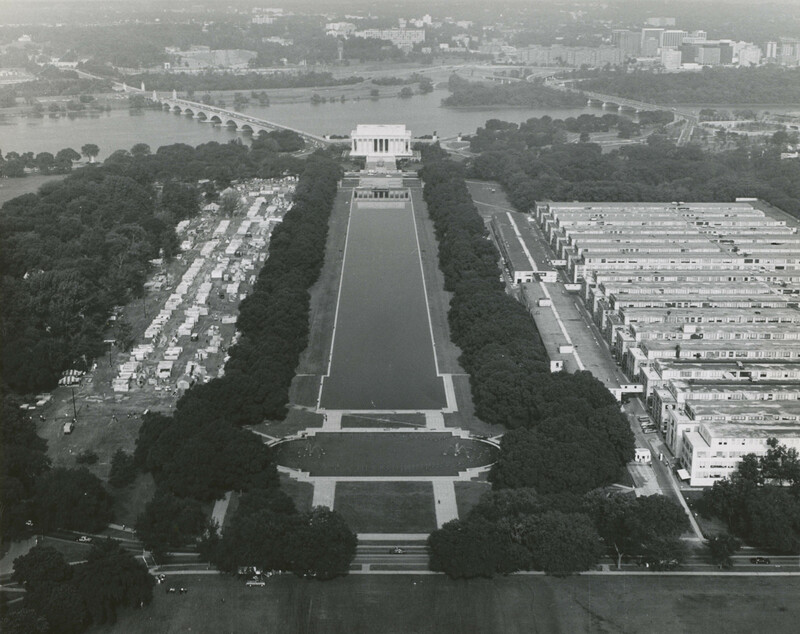 Over the following weeks, they erected an encampment of makeshift huts on the National Mall, dubbed “Resurrection City,” where they resided for the duration of the campaign. In addition to Coretta Scott King, the SCLC, and the National Welfare Rights Organization, numerous activist groups and leaders joined the campaign, including Jesse Jackson, members of the United Auto Workers, and the DC chapter of the New York-based anarchist group, “Up Against the Wall.” Campaigners occupied the National Mall for over a month, enduring heavy rains as they lobbied congress and marched through Washington spreading awareness of the cause. But after suffering a series of setbacks—from muddy conditions and a lack of press coverage to conflicting strategies and the assassination of Robert Kennedy—demonstrators lost morale, and the campaign died out. Resurrection City closed down on June 19th. 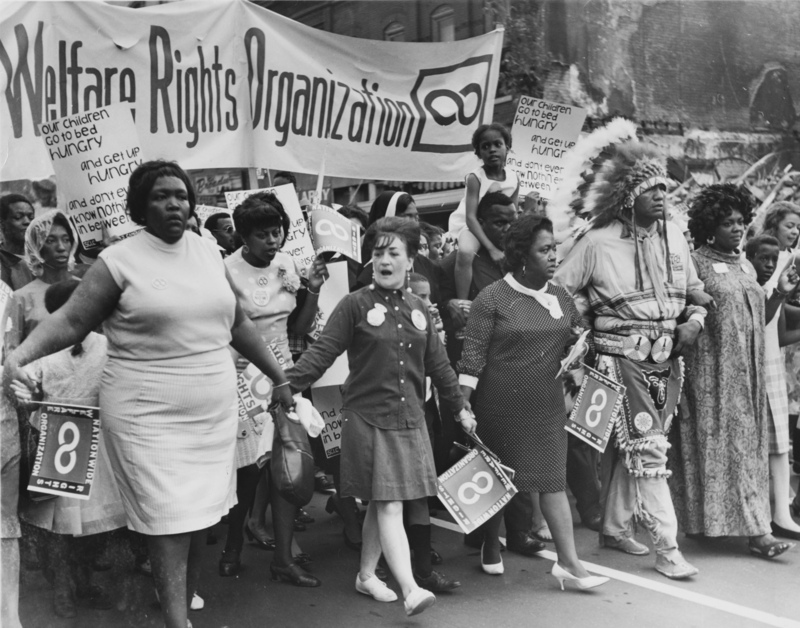 Though less prominent than the Vietnam War protests of the late 60s and less successful than the Civil Rights movement of the early 60s, the Poor People’s Campaign evinced a widespread commitment to ending poverty in America and deserves a place in the public memory. The photographs displayed here contribute to the preservation of that memory. 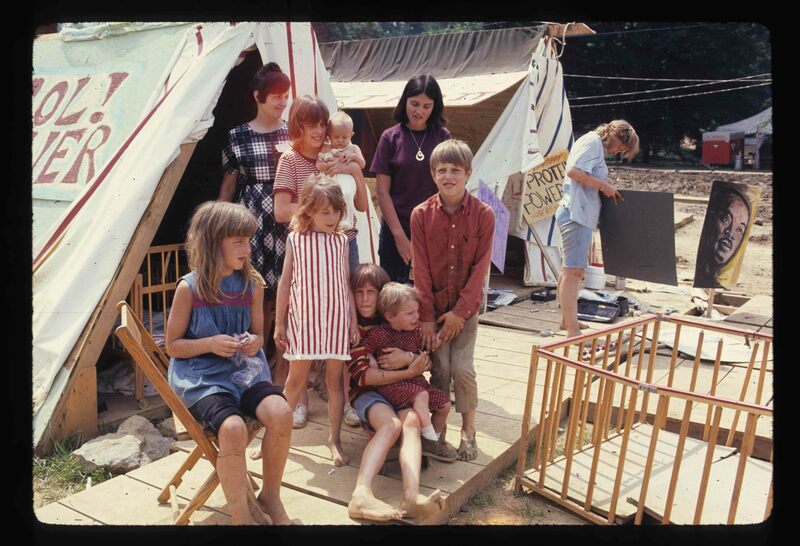 They were selected from the extensive Ollie Atkins Collection and the recently acquired Jack Rottier Collection, which document politics and culture in Washington, DC from the 1950s through the 1970s. A finding aid for the Rottier photographs has recently been completed, and the collection is now available for research. Both collections are open to the public and can be accessed at Special Collections and Archives. The National Welfare Rights Organization marching to end hunger. Photo from the Jack Rottier Collection. View of the Reflecting Pool from the Washington Monument with Resurrection City on the left. Photo taken from the Jack Rottier Collection.